Since the death of FPJ, the Mayor of Makati has lent his visibility and probably leadership in the rudderless opposition ship. The competing irresistible forces of the camps of two high profile senators, who are both presidential wannabes, have rent asunder a model united opposition front. In this country however, the self is much larger than the public weal. For the past 20 years, self-promotion is paramount in the political front. Every politician of all shades and colour has an exaggerated perception of himself. The Filipino politician does not believe that Isaiah’s prophesy has already been fulfilled. The messiah is none other than he. That is the reason why practically all presidents were shot down. No president, living or dead, was or is ever successful in running this country. It is seen to it by every Filipino politician. The opposition is actually pleased by FPJ’s death, their commiserating faces notwithstanding. A void has been created, and the great masa following is askance on who would shepherd them. At least now a dozen prospective leaders float in the public’s imagination as the new emerging opposition’s top honcho. For them the fleeting attention by the media and the eenie, meenie, minie, moe of the masa is enough to jolt them in mindless paroxysm. With FPJ’s death they are preoccupied with the thought that the headless masa zombie needs a seeing eye dog. “Baka kapalaran ko na ang pagyao ni FPJ”. The parallelism of August 1983 comes to mind with the magandang lalaki syndrome once again becoming apparent. When they saw the flood of people at Ninoy’s wake, it signalled their second wave. All personalities who were out from Marcos’s eye span resurrected and assumed a Lazarus’s role. The Lakas ng Bayan holds-out were at the forefront. While those who differed with Ninoy ideologically, were behind those up front, ready to lunge knives when the chance presents itself. What the public may not know is that during the dying hours of the presidential elections in 2004, pronounced divisions cracked the FPJ crowd. Naïve movie thespians assumed that their icon can pull off an Erap redux. Who needs the likes of Angara or Enrile or Tatad or Danding or Lucio or Manny Zamora? The cordon that sanitized FPJ thought they had the smarts. The dyed-in-the-wool sponsors had had enough of the wise guys and withheld their support and gave it elsewhere. We now knew what happened, and the over-the-bakods want a sequel. The clueless masa is still in bereavement and Gloria the tenant by the Pasig is sparing in dishing out sentiments. Edsa III was a nightmare and it showed on her face after the throng was diffused the morning after. This is not the time to case her enemies. And the Mayor of Makati knows her dilemma and he is out to capitalize it. He led the sporadic protests right after the elections. He was seen confronting the dazed policemen who manned the ramparts of Ayala Avenue. The cops who were called to keep the peace were being bawled out by no less than the elf-voiced Hizzoner. “‘Yan ang Mayor!! !” one of his gofers screamed when the local executive with his signature hands in pocket and gnashing teeth dressed down a police inspector before his humbled men. That scene was repeated when the Binay group again rallied across the Supreme Court building. He was seen in blustery with his ego bigger than himself taunting the president herself who is taller by one centimeter than the good mayor. He knows that he will get beat in the Supreme Court knowing that it is GMA’s turf. By his calculation, an adverse ruling by the High Court benefits them. Dismissal of FPJ’s petition by reason of death would be interpreted as another conspiracy act against the dead icon. Right after, the first-rate mayor embarked on consultation sprees in his sovereignty. Without permits from the officials of his city, the brilliant mayor sets what purports to be discussions of current issues with the oblivious masa. Don’t you ever forget FPJ, he tells his favourite crowd. He reminds them, while the idol is dead, we are here for you. And he was indeed ready with his battery of speakers as the amused crowd lapped up the harangues of the likes of Gringo, Maceda, and Tatad, political detritus resoundingly discarded in 2004. The mayor just simply ignores that he is in queer company. He loved the attention and the parallel comparison that he is Napoleon Bonaparte incarnate, a brilliant tactician. But what the mayor forgets is that the masa need jobs and justice, food and freedom. Not the Zesto and the packed dinner, and guess who footed the tab? The cost of these consultations bordering on sedition could not be charged against the discretionary fund of the local chief. This is simply larceny. He forgot that he donned a bandolier and earned the moniker Rambotito in December 1991 when Gringo stormed Malacanang and fired on 50 or more curious civilians causing their instantaneous deaths in Nagtahan and Ramon Magsaysay Avenue. Binay so impressed Cory that the thought of hiding under her bed never occurred to her. Her armed to the teeth knight in oversized fatigue was ready to protect his benefactor. Lest we forget, Noynoy was wounded in that sneak attack. When Kris complained of physical abuse by Joey Marquez, Cory was quoted as saying, “pasalamat siya wala na si Ninoy, kung hindi baka patay na si Joey”. When Cory saw his wounded unico hijo, the sitting president right now, she kept her anger to herself. In the midst of the siege, Binay was heard as saying that Gringo was binabae or busisi as the coup leader could only challenge a lady that is Cory. Now both are in the same mould, taunting another lady no taller than the goblin. Now it can be told. Gringo fails to muster enough guts against a male president. He didn’t dare confront FVR because the latter would have out pointed him in push-ups. Had he risen against Erap, he could have prevailed and won his nth attempt. He miscalculated the pluck of Erap. Instead of joining the Edsa II forces, he gravitated towards Erap, apparently enamored with the macho copy of the latter, validating the prescient impression of his current buddy, Mayor Binay. With his unlamented departure from the Senate, having been short ended by Senator Vilma Santos, Gringo is now eying the soon to be vacated post of Congressman Butz Aquino. His chances of going for broke in that district is zilch without the valuable backing of the Makati Osama. The mayor is credited for having brought his whole slate to victory last local elections, the issue of his vice-mayor’s questionable spouse’s death notwithstanding. Teddy Locsin and Joker Arroyo owed their political footing to Binay. But the bad news Gringo is that, Binay is playing footsie with his sponsor, Nene Pimentel, who has sent word already that as his son ate dust in Amano country; why not give him the job of Butz Aquino who has reached his term limit. Gringo is dangling his Pasong Tamo based RAM militia to the diminutive mayor, which leadership he recently assumed upon the death of Col. Calajate. Binay knows however that Gringo’s bark is louder than his bite for now. Gringo needs him, not the other way around by piggybacking on Binay’s formidable war machine. Only if Gringo gets elected would he brace his grip in his Makati topography and turn out to be a threat to the Binay clan. Unacceptable. Teddy, Joker, Rene, and Butz are soul mates of Binay. Their brains are on one track, the left of centre. They are the quintuplets’ brothers of Marcos, ego-trippers. Their loyalty to Binay is rock solid. You can kiss your congressional ambition good bye now, Gringo. Your being a Bicolano like Joker does not mean a thing. And quit talking to Joker in your dialect. Oragon, you are not. Sorsogon is where your fate is where you can cross swords with Kumander Nognog. Gringo will make a good mayor of Gubat and we are out of harm’s way. 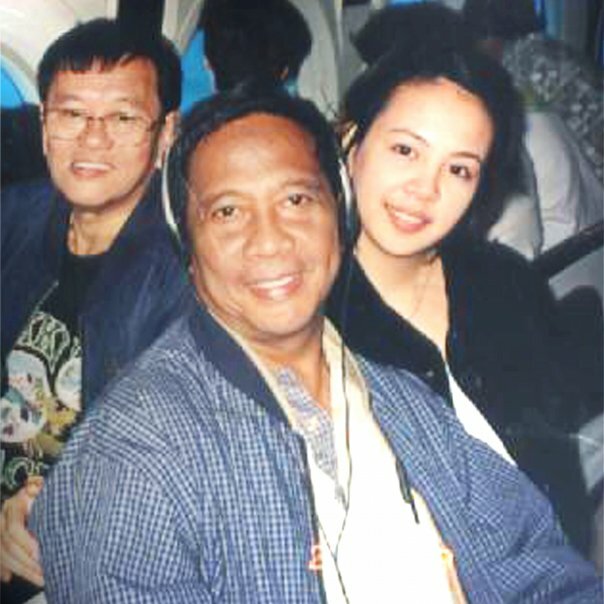 Anecdotal evidence has it that Binay is now a billionaire. No occupancy permit gets released without some arrangements with the local boss. Good sources tell us that he practically owns 10% of Makati. His relatives reside in well-appointed edifices. His twenty-year reign has surpassed the legendary Mesiong Yabut whose heirs Binay shrewdly sidetracked and later annihilated. His cases before the Sandiganbayan incubated for eighteen years and ping-ponged to the Supreme Court during the Cory years, when Joker was the Executive Secretary. Eventually, when nobody was looking, they were dismissed upon the behest of some presidential clever operators out of striking an alliance with the powerful mayor. But the Mayor has a deeper network, and as a lawyer himself, he does not need the shove of Malacanang. Makati has transformed itself into an independent city state. Due to autonomy, it has unfettered control of its treasury. Its Internal Revenue Allotment is automatically released pursuant to the Local Government Code. It is the envy of other LGUs what with its deep pocket from local revenues particularly property and business taxes. This city is a virtual welfare state. Its Sangguniang Panglungsod is controlled by the Mayor. Whatever the mayor wants from the council especially funding his fancy projects for the senior citizens, health care, and other dole-outs for the city’s blighted areas, he succeeds. Makati is squatters’ haven. Understandable, because they comprise 55% of the Makati electorate. That is why they proliferate along the railways, the banks of Pasig River, Guadalupe, the peripherals of The Fort, down the boundaries of Pasig and Taguig. They have free medical care, education, gifts on special occasions, and burial. There is no reason therefore in driving them away or it spells disaster comes election time. Given his sturdy traction in Makati, can we blame the good chief if he postures the way he does now? “Matibay, ‘ika, ang maglulupa.” His factotum Nick Santiago was heard bragging that his patron is the last man standing in Metro-Manila. His political life outlived the Bunyes, Mathays, Lopezes, Lims, Cunetas, Asistios, Malonzos, Tingas. Makati is none other than Binay Country. He decimated the Lakas stalwarts in these parts with the likes of General Montano, Buboy Syjuco, the late Toro Yabut, Edu Manzano, and Dean Barbers. Nobody remembers his last political challenger in 2004, because everybody suspects that he came from a company union. His ubiquitous Binay logo is enough to exact allegiance to Makati voters. He has seen the carousel of Presidents from Cory, to FVR, Erap and now, GMA. In one NCR Mayors meet in Malacanang, Binay was singled out by FVR as an odd man out who kept shaking his head in the middle of FVR’s speech and got the latter’s goat. While Governor Remulla got his comeuppance when he lost his seat to Epimaco Velasco when the former gave FVR zero-vote in Cavite in the LDP convention in 1992, Binay wiped out all imaginable FVR’s protégés who ran against the Makati mayor. Binay was overheard asking, “presidente nga sila, pero asan sila ngayon?” while he remains mayor of the richest city in the country. Binay owns the Commission on Audit as Commissioner Carague is a Cory hold-out. With nothing against the City Mayor, the President could not wield her supervisory power. Until last week, when in the midst of Binay’s rabble-rousing, his mortal foe Bobby Brillante reminded Malacanang about a two-year old plunder case involving Binay and his wife, Dr. Elenita Binay who benchwarmed while the husband was seconded by Erap at the MMDA. The Mayor’s knees buckled and was not heard since. At long last, the presidential cannons found a target. Indeed, hell has no fury like a woman scorned. In the meantime, Binay struts around as the reincarnation of FPJ. Prior to the 1987 Constitution, no local leader ever challenged the President successfully. Arsenio Lacson did to President Garcia but whatever happened to it was an unfinished business as he was overtaken by death. Antonio Villegas took pot shots against President Marcos, but he was unseated by Ramon Bagatsing. Lacson and Villegas were political heavyweights in their own time, deemed presidential timbers. Yet they were trounced by the object of their tirades, the President of the Philippines. Now that the impeachment complaint has been consigned to the dustbin, the Mayor is back on the saddle, politically squiring estrange widows. He was heard pontificating that the middle forces have welded at last and the Pasig tenant should watch out. His barangay officials were lately given marching orders to join the mass actions in Ayala, “to keep the flames of vigilance alive” practically thumbing the nose of the President. He sent a white flag to FVR by dropping some academic craps that his high profile is nothing but a democratic belch. He addressed FVR thus, “You, yourself, have taken a strong position on possible solutions to the crisis that we face and you are well within your constitutional rights to do so. After all, mayors, congressmen, senators, or even former presidents are all citizens of the republic that are accorded the basic civil rights.” With Binay drilling a root canal, the patient needs an immediate pain killer. Some look at the his tack as a leverage. The dimunitive chief gutfeels that the Ombudsman noose is already on the tight mode. His stance in Makati is an Israeli preemptive strike. “Hit me, and you’ll be sorry”. But his gang is now practically out of GMA’s amiability group. His two House pinchhitters voted NO to the Justice Committee Report junking the oust move. His last trump card is the aging Joker. But who’s afraid of his pis aller? Binay believes that he is a political force looming on the horizon ready to lock horns with the President’s bulldozers. But the presidential heavy equipment are now busy mapping up their futures leaving their patron all to her own devices. It is safe to assume that they are scared of Binay, avoiding him, and for good reason. GMA has no option but to tackle the raging bull by its horns. Binay is dangerously creating a precedent. Given a hundred Binays in the country, national candidates and aggrupations are compelled to kowtow to well-entrenched local leaders. Whereas before, it is the local leaders who make a beeline to the presidential candidates for funding. With the Binay doctrine, there will be role reversals. 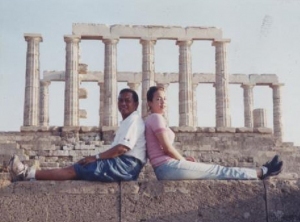 The Binay mindset is nothing new, though. We have the Magdalo in Cavite, the Balanes in Nueva Ecija, and in the small town of Tagkawayan, Quezon, we have the obscure Grupo Salumbides-Frondoso. These political groups are islands on their own, eschewing bridges to the mainland. Standing toe to toe, Binay is at eye level with GMA. Who blinks first we shall find out later. AND NOW, WITH THESE PIECES OF NEWS……. BUSINESSES based in Makati City are seriously considering relocating to other areas like nearby Taguig town because of high taxes, business magnate Raul Concepcion said. Business owners are doubly worried over a proposal pending with the city council to further raise the taxes, he said. Concepcion, chief of appliance maker Concepcion Industries Inc., based in the Makati business district, said Makati business taxes were almost double those in other parts of Metro Manila. “If [the city council] enacts an increase, this would drive away businesses,” he said. “Even now, there is talk of moving to Taguig.” Taguig is host to the Fort Bonifacio Global City, a fast-growing prime development area. The Makati city government is considering shifting of tax rates from municipal grade to city grade, long after Makati became a chartered city in 1995. Ana Maria Tanchanco, chairperson of the Barangay San Lorenzo Business Association, whose area includes many of the companies in the business district, said the plan to raise business tax rates by at least 10 percent would wipe out competitiveness of the companies. Tanchanco, like Concepcion, said many businesses were talking about transferring from Makati. She said the San Lorenzo area accounted for half of the revenues of the Makati central business district. Real estate taxes from businesses in San Lorenzo reached P93 million in 2004 and P48.7 million as of May this year, she said. Tanchanco said 3,000 of about 8,000 businesses registered in San Lorenzo are corporations, and the others are small and medium-scale enterprises that are mostly single proprietorship. BIG AND SMALL BUSINESSMEN in the country’s financial hub may be in for another tax raise in 2006. Makati City has just legislated a new revenue code, raising business taxes to boost the city’s income. City Ordinance 2004-A-025 is a comprehensive new revenue code that adjusts business tax rates from municipal to city level, a first for Makati in 13 years. The tax ordinance, which details tax rates for at least 16 businesses in the city, has lower rates than the initial proposal, in response to appeals of the business community. “That’s precisely why we lowered the increases, because of the VAT. We’re still very competitive and we still have some of the lowest tax rates in Metro Manila,” said city secretary Rogelio Marasigan in an interview. The 159-page Revised Makati Revenue Code was passed by the council yesterday morning. City Hall said it would l take effect on Jan. 1, 2006. The tax ordinance raises business taxes from 5 to 50 percent, lower than the original proposal of 10-100 percent. Makati-based businesses threatened to relocate when the city made the proposal. “We might be able to convert this adjustment to more than P300 million in additional revenue. That’s a conservative estimate,” Marasigan said. City Hall’s projections showed a revenue increase of P335.6 million by the end of next year, with the new rates. The city government expected the projected revenue boost to pay for anticipated higher operating costs of city-run institutions due to the VAT implementation. “Even with lower increases, we could still raise our revenue substantially. But we are also studying the impact of the VAT, since it mainly affects utilities, and we may have increased operating costs,” said Joey Salgado, Makati Information and Community Relations chief. For banks and financial institutions, the tax rate was increased from 0.15 percent of the year’s gross receipts to 0.20 percent, or a 33 percent hike. The initial proposal was to double the rate to 0.30 percent. Tax on hotels was hiked by 20 percent to 0.6 percent of annual gross sales or receipts, from the current 0.5 percent. Along with the amusement tax, taxes on cocktail lounges and establishments selling liquor, wine, beer, and cigarettes were maintained at 3 percent of gross annual sales. Firms engaged in printing and publication shall pay 20 percent more in taxes next year, from 0.5 percent to 0.6 percent. The original proposal was 0.75 percent. Also retained was the 0.5 percent franchise tax, and tax imposed on real estate dealers, fixed at 0.75 percent of gross annual sales. The new revenue code also increased assessment levels or appraisal rates for real property, but tax levels remained unchanged, Marasigan said. For residential land, the assessment level was raised to 12 percent of a property’s fair market value, from the current 10 percent. The tax rate remained at 2 percent. For commercial and industrial land, meanwhile, assessment level was hiked from 30 to 40 percent, while the tax rate remained at 3 percent of the assessed value. An owner of a P1-million residential lot who paid real property tax of P2,000 this year would be paying P2,400 by next year with the adjusted assessment level, Marasigan explained. So, Mr. Napoleon Small Guy must be spearheading a bigger post sometime in the future.